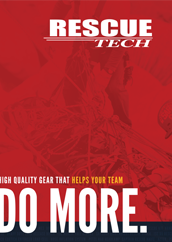 RescueTECH up-to-date books on Technical Rescue. Including Trench Rescue, High Angle Rescue, Confined Space Rescue, Water Rescue, Dive Rescue and Search and Rescue. Rescue videos for both Rope and Water Rescue. Basic building blocks of rope rescue. From Knots to Single Rope Techniquies. Rescue books for Trench Rescue and General Rescue.